There are as many ways to enjoy Telluride as there are reasons to go to this glorious mountain town: festivals, skiing, and nature! For some visitors, it’s the stars…you feel so close to the star-filled sky in this village with it’s Dark Sky policy. 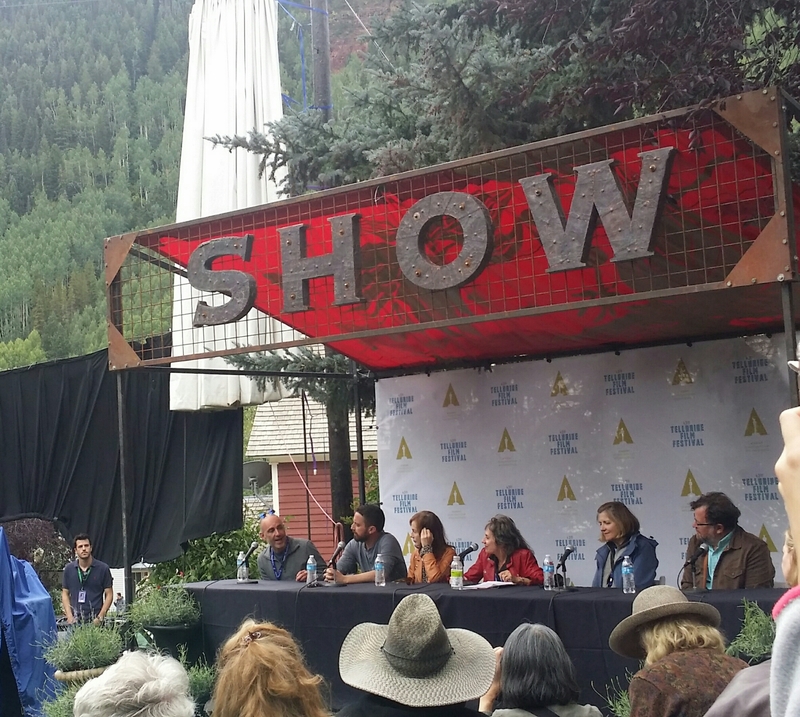 And then, there are the other Stars; the Film Stars that descend on this tiny town for the Telluride Film Festival every year. 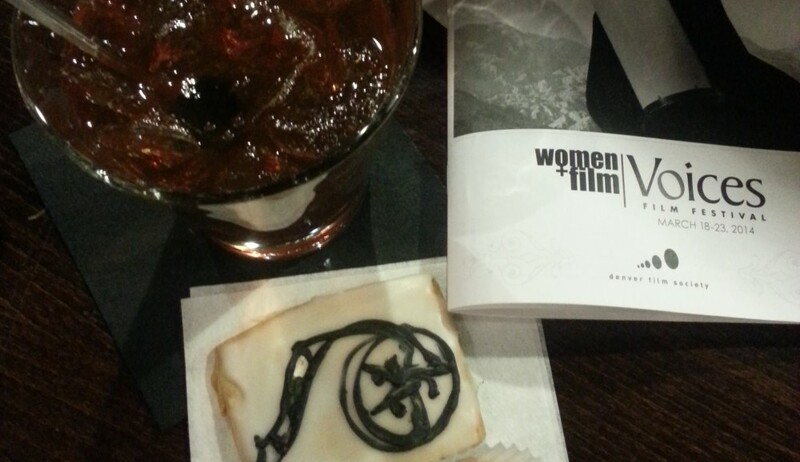 Just like any other festival I’ve ever attended, film-goers flock to the screenings with the most glamorous guests. Even in this rarified atmosphere of film as fine art and a welcome respite from the paparazzi, the screenings that fill up are the ones with the Big Names. This makes seeing the really good films more difficult. The bigger budget (and often, more mediocre) Hollywood films, screen multiple times and in all the big venues. When the true gems of the festival create a buzz, there’s little chance to see them in the remaining day or two, especially when those films are screening in the smaller houses! 2016 was no different, but what a fabulous line-up of films! The Arrival with Amy Adams was the one film that seemed to always have to turn away the crowds. Three films that I really wanted to see, I didn’t make it to: Graduation, Toni Erdmann and Through The Wall. I didn’t attempt to see some of the bigger films that will soon be released but I did enjoy the hot mess that is La La Land. Amusing, romantic, and fanciful, it’s a fun Hollywood musical. Ryan Gosling and Emma Stone have great chemistry. The score and choreography are wonderful. Sadly, it’s suffers from poor editing and the last third of the film is a muddled mess. Still, it was a delight and I’d give it 4 coupe glasses of champagne (out of a possible 5). My favorite film of the Fest: Inner Workings, the new short from Disney directed by Leo Matsuda! Delightful, heartwarming and a complete story in it’s short running time. I’d rate it 5 margaritas (not during work) out of 5! In the features category, my heart belongs to Frantz! François Ozon has crafted an indelible film full of grief, loss and longing all set in a small German village shattered by the loss of life during WW2. Using black and white cinematography to bring you into this period; the costumes, setting and acting seem so attuned to the time that it creates a documentary feel…and then when love and vitality touch the lives of the anguished young lovers (played with such sensitivity by Paula Beer and Pierre Niney), color brightens the screen and warms the mood. I was swept away and found the story to be so rich that I wanted to see it again immediately. 5 German beers! One film that I did end up seeing twice, and would rather have not seen at all…Bleed For This. Aaron Eckhart gives a great supporting performance as the trainer to Miles Tiller’s underdog boxer in a soap opera of a tale that’s so loopy — it has to be true. Ben Younger directs a cast of gum-snapping, beer-drinking stereotypes where alcoholism is cured with a short stay in the pokey. Did we need another boxing movie? Really? 1 can of Budweiser. Una is an emotional roller coaster based on the play, Blackbird. Almost a one-woman show, Rooney Mara is emotional-wrenching in her role as the young woman left frayed and broken by an encounter she still doesn’t fully comprehend. As the small cast reveals the shocking details, the audience is along for the intimate, anguished reveal. Master work by director Benedict Andrews. 5 shots of vodka…no chaser. You’ll be shaken and stirred! In the just-for-the-joy-of-it category: Lost in Paris. Two physical comedians, Fiona Gordon and Dominique Abel, writer/directors, play characters named Fiona and Dom that keep careening into one another in Paris. The French actress, Emmanuelle Riva, adds grace and depth to a film of childlike wonder. 3 bottles of French bubbly washed ashore. Not a fan of the film Wakefield, I felt the character was a caricature of a man losing his grip on reality and Bryan Cranston gave a one-note performance in this unlikeable portrait. For a much more in-depth and believable parent and human being, there’s the soulful Isabelle Hubbert, radiant in her role of a woman who’s life is unraveling in Things To Come, directed by Mia Hansen-Løve. Her performance has so many layers that you believe that her journey out of chaos will yield only stronger bounds with her family and an affirmation that she deserves a good life. 4 glasses of a good Bourdeaux! 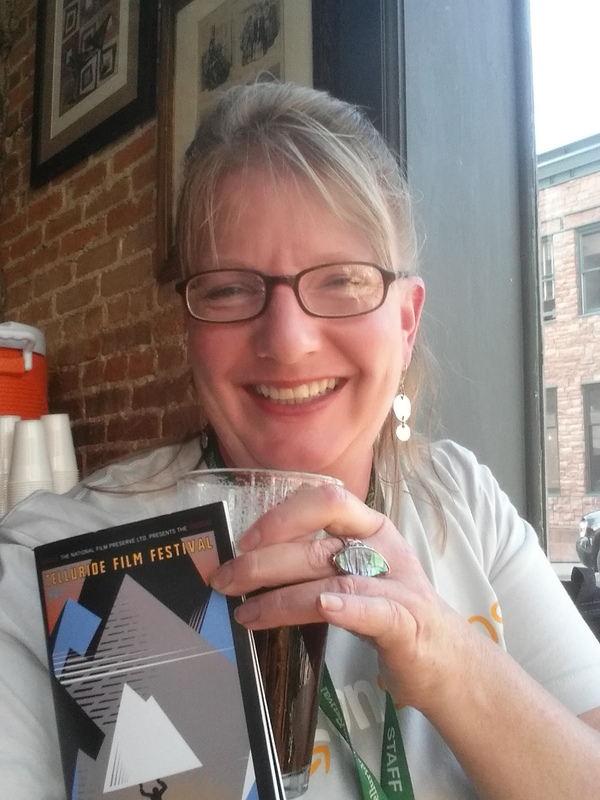 All in all, a stellar year for the Telluride Film Festival. So many films I wish I could’ve seen that I left with a feeling of yearning. I look forward to seeing Manchester by the Sea when It’s released as I hear Casey Affleck’s performance is a revelation.